It’s official, the overalls are coming back this season. I remember wearing them when I was in elementary school I believe. 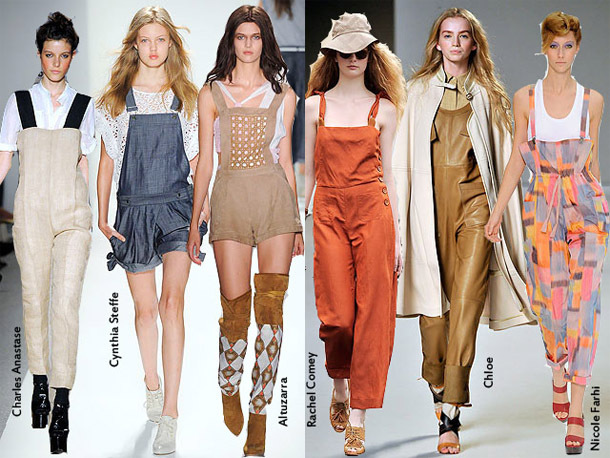 This season, overalls are not the same old boring, denim ones. They are new, in a modern type of way, with prints and solids in various colors. I like to think of them as rompers with straps. I am on the search for some cute overalls now, if you see any, feel free to share them via commenting! I’d love to see and perhaps buy it, if I like it! Reblogged this on Your Haute Couture. I have been on the hunt for a denim overall skit all summer! I think they’re so cute. Great post!